The ACS880-01 is the compact wall-mounted variant from ABB. Being ready to mount straight from the box, this feature packed offering from ABB can be installed rapidly saving installation space and time. 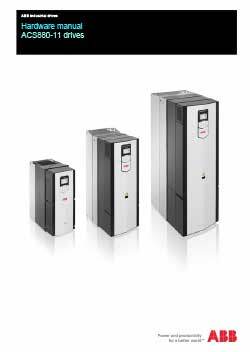 It feature DTC (direct torque control) as standard therefore offering premium control of virtually any time of AC motor, permanent magnet motors and synchronous reluctance motors. 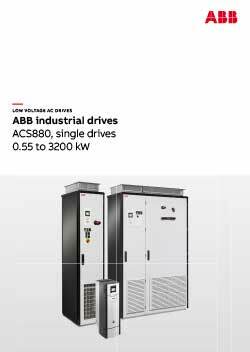 This drive from ABB has a wide range of options available allowing the drive to be optimised to best suit your process or application. 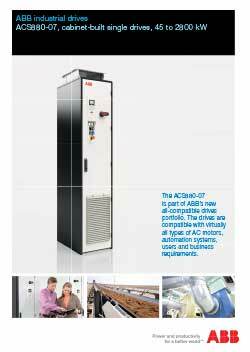 The ACS880-07 is the cabinet-built variant from ABB. 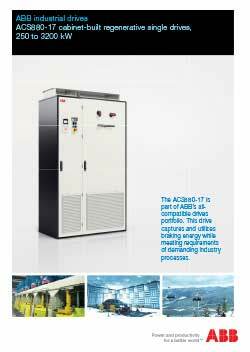 It is built to order so can be configured to meet the most challenging of technical applications. 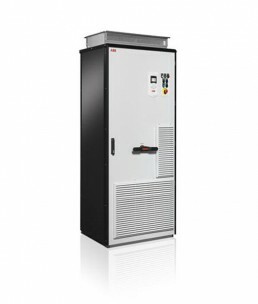 The drive includes rectifier, DC link, inverter, fuses, line choke and main switch which are all built into a compact cabinet, therefore speeding up engineering and commissioning time taken on site. 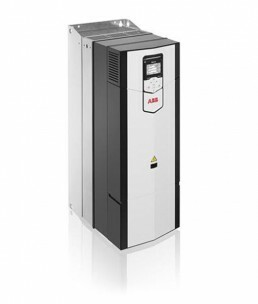 The ACS880-11/17is the regenerative drive solution from ABB. 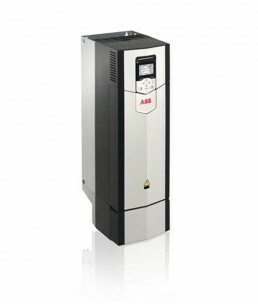 It takes the braking energy of the motor and returns it to the drive so this can be distributed to the supply network so it can be utilised by other equipment. 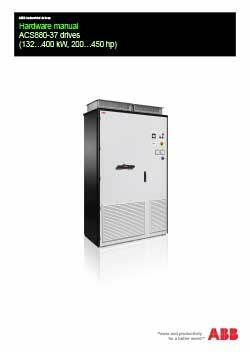 This offers significant saving in terms of energy consumption and cooling, compared to mechanical or resistor braking where the energy is wasted as heat. 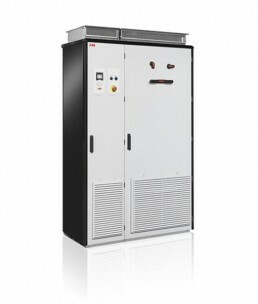 This complete package offers everything you need for regenerative operation such as an active supply unit and low harmonic line filter, there is also no need for external braking devices. 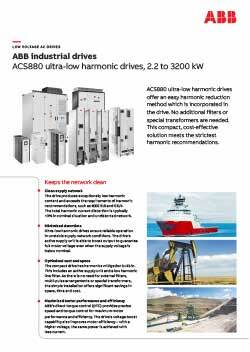 The ACS880-31/37is the ultra-low harmonic drive solution from ABB. Harmonic distortions can disturb and in some cases damage sensitive equipment within the same environment. This drive offers immunity to network disturabances such as these. 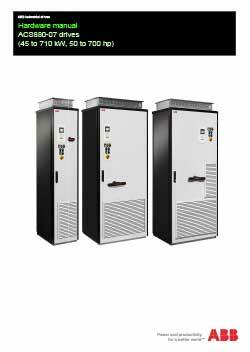 This ultra-low ABB harmonic drive products exceptionally low harmonic content. 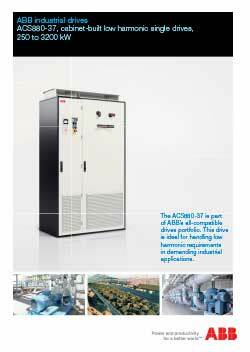 When compared to a convential drive, the harmonic content is reduced by up to 97%. 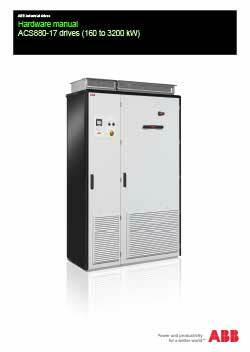 This compact drive has harmonic mitigation built-in. 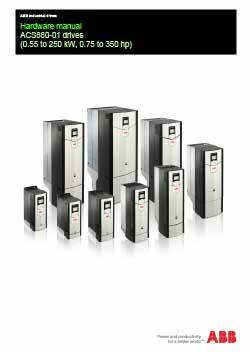 This includes an active supply unit and integrated, low harmonic line filter.